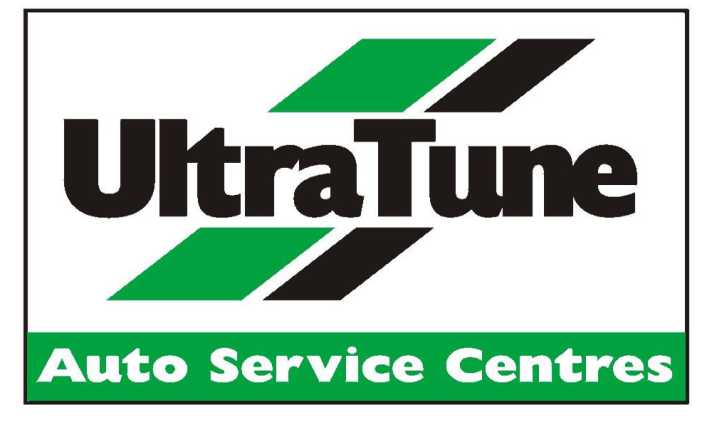 Ultra Tune is an Australian owned, franchised automotive servicing and roadside assist company with over 275 centres. 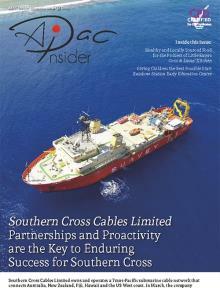 We profiled the firm and invited Executive Director, Sean Buckley to tell us more about the successful company. Established in 1979 with its first centre in Box Hill, Victoria, Ultra Tune has expanded nationally to become the leader in automotive after sales servicing. The firm is 100% Australian owned, operating with more than 280 centres throughout Australia. Ultra Tune’s growth is steeped in a tradition of quality, affordable service with a vision towards an evolving, ever-changing future. Boasting a sterling reputation, Ultra Tune specialises in the maintenance and servicing of all popular makes and models of motor vehicles in the Australian market, providing a wide range of servicing options, including manufacturer’s handbook servicing, tuning, air-conditioning servicing and general repairs. In 2013, Ultra Tune launched its highly successful tyre program. Working closely with leading tyre importers, Ultra Tune now supplies and fits high quality, affordable tyres to a range of passenger, 4 X 4 and light commercial vehicles. Working within an ever evolving industry, there are always new regulations and legislations which open up new opportunities and avenues for the company to explore. Sean explains to us that the industry is set to change even more, citing the changes in data laws and trends as a reason for this, noting that this will level the playing field for independent businesses. “Importantly, our industry is about to change significantly, as previously the manufacturers have largely enjoyed a monopoly in the lucrative after sales servicing market, since they have been able to quarantine their digital servicing data. However, a recent finding by the ACCC, of which Ultra Tune was central in contributing to, is a real game changer. Regarding the techniques which Ultra Tune employs in order to stay ahead of emerging developments, the company has always been of an innovative nature, leading the way in predicting trends and enhancing new measures which help propel the company to the top of the market. Back in the 1970’s, Ultra Tune led the way by introducing “dyno tuners” to their centres. These were systems which allowed cars to be tuned whilst running, and it was revolutionary and changed the industry. At this point, the Executive Director realised that the automotive repair sector is a technology driven industry and has remained on the cutting edge ever since introducing the latest, state-of-the- art technology at every juncture. Of late, to stay ahead of the curve, Ultra Tune has focused a lot of its energy on marketing via social media, and as a consequence some 40% of its bookings are now coming via mobile devices. This marketing solution has been central to Ultra Tune’s success, as the company looks to do things differently, with the team thinking outside the box and staying ahead of the curve and the competition. Whilst Ultra Tune services cars, by and large it is a technology company that is evolving to service the cars of the future. Ultra Tune largely provides an end to end service to both franchisees and consumers. Sean details more of the services that the firm offers and explains more about how they ensure only the highest level of standards are kept. “Throughout the industry, we work with prospective franchisees to help optimise their chances of success by ensuring prime locations are chosen for new sites. We have an intensive scrutinising process to ensure that prospective franchisees meet our strict criteria to join the network. After joining, the franchisee is put through an intensive training period at our head office and thereafter are supported with ongoing training provided in-house and with industry leading suppliers. "Well-known within the market, we are renowned as an industry leader in regard to technical support and continue to invest heavily in ongoing development in this realm. Furthermore, we are just about to roll out our new IT platform: Sales Mate for Windows (SM4W), which is priority, purpose built software that supports all aspects of the business from bookings to payments, and other aspects. Contributing to its high standing in Australia and the auto services industry on the whole, there are many aspects of the company which separate it apart from its competitors, leaving the business as Australia’s largest independent after sales automotive service provider. around 40% cheaper than the manufacturers on a standard service, Ultra Tune’s Executive Chairman, Sean Buckley, over the years has invested heavily in intellectual property including a IT platform which supports franchisees and clients from initial booking through to subsequent re-bookings. From a technical perspective, Ultra Tune employs two full time technical experts, and their roles are to stay on top of the latest digital based advancements in auto-technology, and as such disseminate that information across the franchise network. Embedded in the company culture, Ultra Tune’s mantra is to build trust through integrity and transparency based on dependability and unequalled customer service. Sean comments on the internal culture within the company, again referring to the intensive training that people go through in order to ensure that every member of staff is best placed to answer queries a client or consumer may have. Ultimately, it is an allegiance to franchisees and customers which is Ultra Tune’s main priority. The firm are well prepared personally and technically in order to take advantage of any more developments and challenges which may arise. Providing customer service efficiently and competitively is a leading aim moving forwards, as well as operating with continued excellence, communicating with integrity, and staying at the forefront of the ever-evolving automotive service market. Ultra Tune, as Australia’s leading after sales services provider, is perfectly positioned to take advantage of its position within the market and the new regulations.